Philanthropic support is extremely important to all of the thousands of cats and kittens we have in our care at any one time and many more that need our help. We really do need your support if we are to create a world where every cat is treated with kindness and an understanding of its needs. You will have a direct relationship with a professional member of the Cats Protection team. They will be on hand to answer your questions and bring you closer to the important work that you make possible. We will work closely with you to discover aspects of our work or specific projects which inspire you and will be delighted to provide follow up reports to demonstrate the impact of your donation. We can also organise behind-the-scenes visits to our National Cat Centre or any of our 32 centres across the country so that you can see the difference your support will make. We can only be there for all the cats that desperately need us with the help of friends like you – caring and generous cat lovers who are kind enough to consider making a significant gift towards our work. Please get in touch to discuss your area of interest or donation in more detail. Please do bear in mind that it may be possible for us to work with you to enhance the value of your donation via Gift Aid. We are happy to work with you to help deliver a philanthropic solution for your client. Please contact Mandy to discuss your requirements. 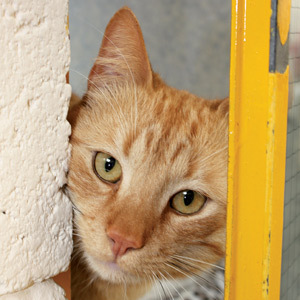 Charitable trusts and foundations provide vital funds that enable us to carry out our cat welfare activities. We are immensely grateful to those trusts which support our work and are committed to keeping our funders informed of the difference their generosity makes. 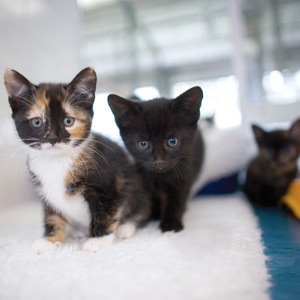 We recognise that grant making trusts are all different; while some are happy to support our work in general, others like to contribute to a specific project or know that their donation is directed to benefit cats in a particular region, town or city. Please get in touch if you are involved with a charitable trust and would like to know more about how you can help us improve the lives of the UK’s cats. If you'd like to find out more about how our supporters have helped us, click here to view our case studies. Whatever the size of your organisation, there are a variety of ways you can support our work whilst also fulfilling your own aims, objectives and social responsibility goals. Whether you’re interested in corporate sponsorship opportunities, considering a cause-related marketing campaign, or simply looking to make a donation, our experienced Corporate Partnerships team will be happy to discuss this with you. For more information about partnership opportunities, please click here. If you would like to know about our current partnerships, please click here.